“She was so young, and we knew we could help her." 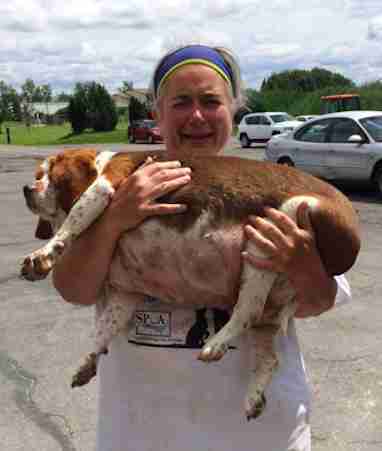 When Honey the beagle was surrendered to the Niagara SPCA last June, she couldn’t even walk from all the extra weight. The person who dropped Honey off wanted her to be put down — but shelter workers refused. “She was so young, and we knew we could help her lose the weight,” Sue Cable, Honey’s current foster mom, told The Dodo. 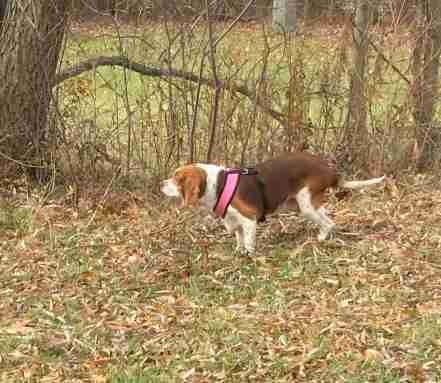 A vet check showed that Honey had a thyroid problem, and medicine helped her lose 5 pounds. But it was clear that wasn’t the only thing contributing to all those extra pounds. The shelter doesn’t know who brought 7-year-old Honey into the shelter, but it was likely a relative or caretaker of Honey’s elderly owner. 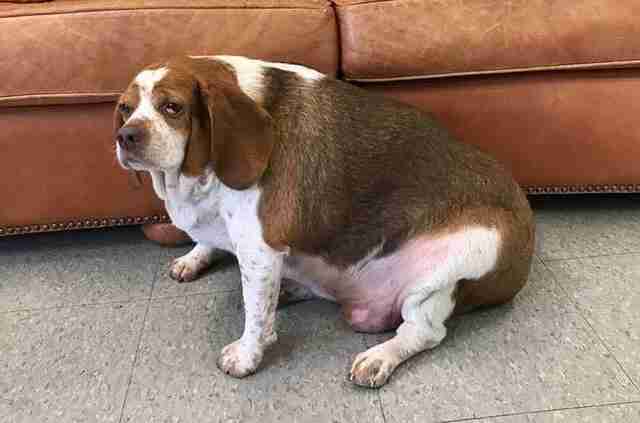 The extra meals pushed Honey to a whopping 68 pounds — a healthy beagle her age should only weigh around 20 pounds. 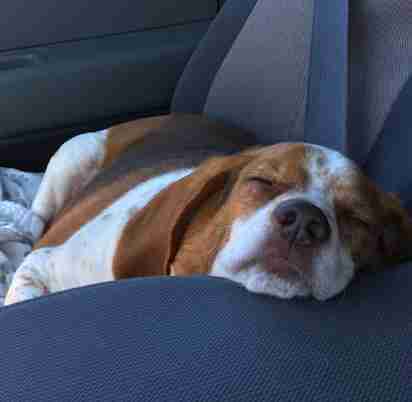 With the advice of a veterinarian, the shelter devised a special workout plan to get Honey back on her feet. 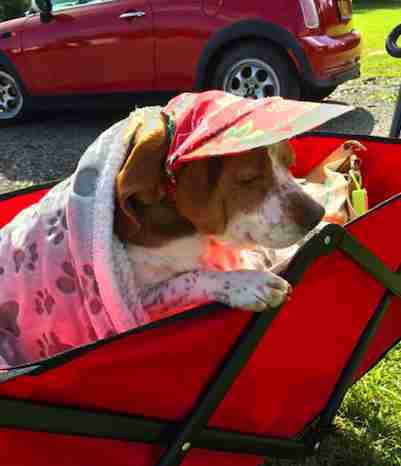 They began by getting her into a shallow pool a few times a week, which would help ease some of the stress on her joints from the extra weight. As the weeks went on, Honey kept doing better and better in the pool. By August, she had lost nearly 20 pounds — and went home with Cable so she could continue her hard work. 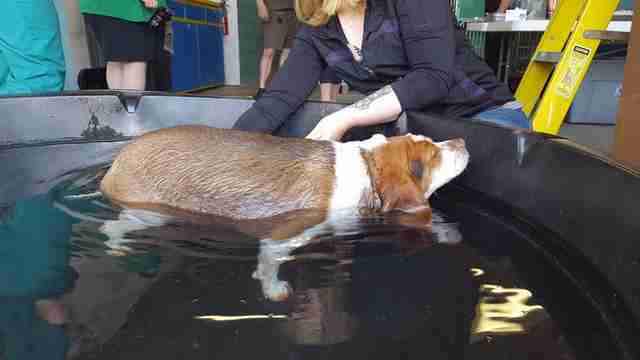 In addition to daily walks, Honey also started going to hydrotherapy sessions. After all the years of carrying extra weight, the torn ligaments in her back legs needed some extra care before they could work properly again. 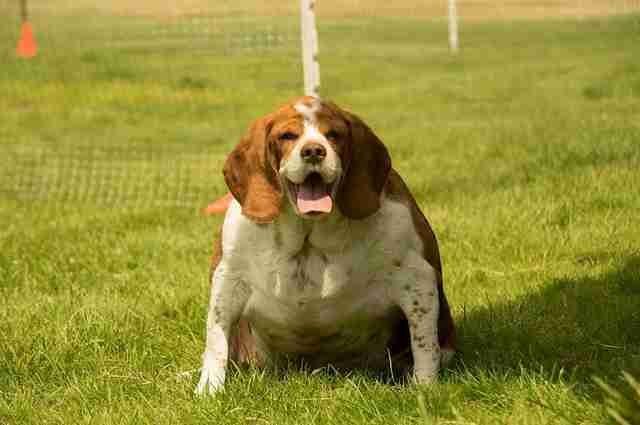 At Honey’s most recent weigh-in, she’d lost 38 pounds — almost half her original weight. While Honey still has a few more pounds to lose, Cable thinks she could be ready for a forever home within the next month or so. 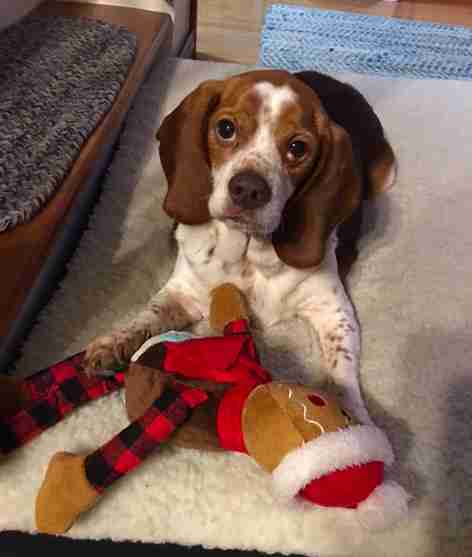 If you’re interested in adopting Honey when she’s ready, you can contact the Niagara SPCA.